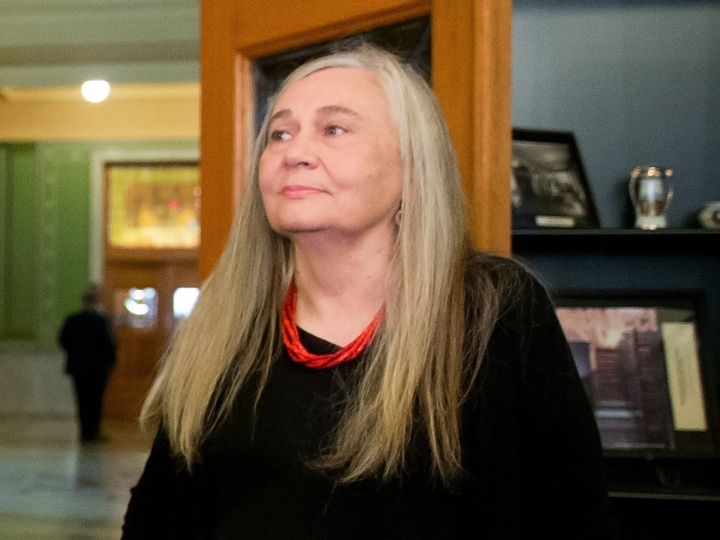 CINCINNATI — Writer Marilynne Robinson has been named the winner of a lifetime achievement award that celebrates the power of literature to foster peace, social justice and global understanding. Dayton Literary Peace Prize organizers announced Wednesday that Robinson, 72, will receive this year's Richard C. Holbrooke Distinguished Achievement Award, named for the late U.S. diplomat who brokered the 1995 Bosnia peace accords reached in Ohio. Robinson won the Pulitzer Prize in 2005 for "Gilead," the first of a trilogy of Iowa-set novels that includes "Home" and "Lila." Her 1980 book "Housekeeping" explored themes of family and home in a story about two sisters. The Dayton honor recognizes her overall body of novels and essays for their moving and thoughtful reflections on spirituality, politics, science and modern life. Sharon Rab, founder and co-chair of the Dayton Literary Peace Prize Foundation, praised Robinson's writings on "forgiveness, the sacredness of the human creature, and delight in being alive and experiencing the natural world" in a statement, adding that her works demonstrate "the universal healing power of reconciliation and love." "I have had the privilege of seeing for myself how books live in the world, how readily they can cross all sorts of borders and boundaries, how important they are in sustaining a human conversation through and despite the frictions that arise among nations, how intensely they can be taken to heart anywhere," Robinson said in a statement. Among the Idaho native's fans are President Barack Obama, who in 2012 gave her the National Humanities Medal and interviewed Robinson for The New York Review of Books in 2015. Robinson earlier this year was awarded the Library of Congress Prize for American Fiction, a lifetime achievement honor. She will receive the Dayton award Nov. 20. Previous winners include Studs Terkel, Taylor Branch, Gloria Steinem, and Elie Wiesel, the Nobel Peace Prize winner who died in July.